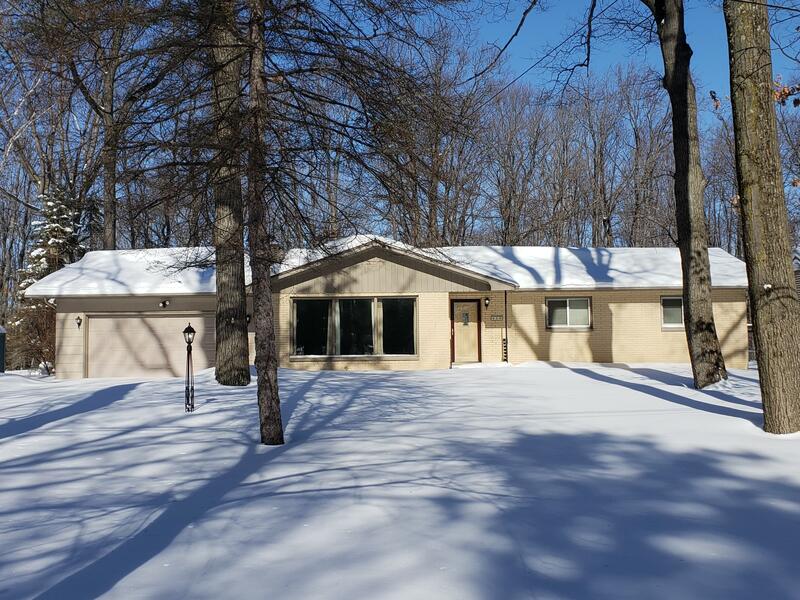 Really nice Ranch home nestled among big mature trees on just under 1 Acre in a well established neighborhood in Marinette. Walking Distance to the Bay. Property is two lots deep. 3 Bedrooms (2 w/hardwood floors) 1 Full & 1 Half Baths, Huge Living Room with large windows & an beautiful wood burning fireplace with stone surround & hearth, formal dining room has patio doors to spacious 3 season room, Kitchen appliances included, full huge basement with a ton of built in storage, laundry & utilities, could be finished into additional living space, Attached 2 Stall Garage, Nice yard with a smaller area off three season room fenced in, Furnace New in 2017, Central AC, Roof New 2016, New Water Heater 2019, Fantastic home.